Frank Armao Director of Aluminum Technology, The Lincoln Electric Co.
Dave Bird, Key Account Manager, Metalforming and Robotic Welding, Balluff Inc.
Shawn Day, Product Marketing Manager, Balluff Inc.
Steve Lowery, Vice President and Director of Sales, Tower Oil & Technology Co.
Ray Michelena, TJ Snow Co.
Jeff Morgan, TJ Snow Co.
Frank Armao, who has been active in the welding industry for 40 years, is responsible for the development of new equipment and consumables for aluminum applications. He also oversees the development and administration of aluminum training courses for Lincoln customers, distributors and internal personnel. Mr. Armao earned his BS and MS degrees in Metallurgical Engineering from the Polytechnic Institute of Brooklyn. He is a member of the American Welding Society and ASM International, and is a former Certified Welding Inspector. 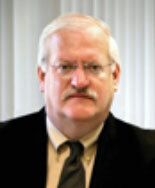 He has presented numerous papers and conducted many seminars on aluminum-welding technology, and serves on the American Welding Society Welding Handbook Committee; is Chairman of the AWS D1(G) Aluminum Subcommittee; is a member of the AWS D1 Main Committee; and serves on the Aluminum Association Technical Advisory Panel on Welding and Joining. Dave Bird serves as metalforming and robotic welding business development manager for Balluff, Inc., a global manufacturer of sensors, networking, transducers and identification systems for factory automation. He brings more than 43 years of application-specific knowledge to this session. Bird's current focus revolves around prevention of die crashes and in-die sensing in metal stamping, as well as decreasing sensor-related unplanned machine downtime in automated welding cells. 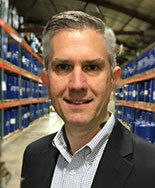 He is a 23-year veteran of Balluff, Inc., having served as sensor product manager, national sales manager, and industry manager prior to his current role. He interacts with his Stuttgart, Germany-based counterparts and other global partners to develop and deliver cutting-edge sensing solutions for robust industrial applications. 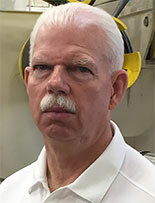 Som Brockie is regional sales manager and Coe Press Equipment. He has more than 25 years of experience in the metal-stamping industry, where he has seen coil-processing technology evolve from air feeds to cradles to fully automated feed lines. As new materials have entered the market, he has worked alongside customers to help them transition from processing cold-rolled steels to high-strength grades, as well as take on aluminum as it has spread from automotive into other industries. 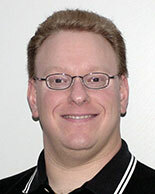 Shawn Day is responsible for product strategy, product management and marketing. He has 20 years of experience in the factory-automation market, focusing on manufacturing, error proofing, high-speed assembly, continuous Improvement, product development and welding/fabrication. Tower Oil & Technology Co.
Steve Lowery, vice president and director of sales for Tower Oil & Technology Co. Chicago, IL, has worked in manufacturing more than 25 years. His previous roles and responsibilities include tool and die maker, design engineer, engineering manager and plant manager. 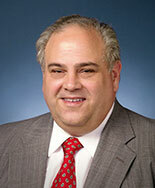 Lowery has a Bachelor of Science degree from Purdue University and an M.B.A. from Northern Illinois University. By using his hands-on expertise related to equipment and manufacturing processes, Lowery can relate to all levels of manufacturing to help companies realize cost reductions, increase productivity, improve their environmental impact and optimize quality. He has been published in numerous trade magazines and has been a featured speaker at the FABTECH and METALFORM tradeshows, as well as at conferences on drawing and stamping lubricants and applications. 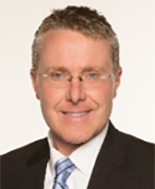 J.P. McGuire joined Aleris International in 2015 at their North American Innovation Center, where he leads the Research & Development and Applications Engineering teams. His team focuses on supporting the innovation and development of the next generation of aluminum vehicles. J.P. started his career in the late 90's at Ford Motor Co. Rouge Steel division as a Stamping Development Engineer working on Fords advanced high strength steel design and development. He then spent 5 years as part of the U.S. Steels Automotive R&D team working on the development of optimized steel closure designs, earning several key technical awards for his work and cited by such entities as Automotive Design Magazine and the Wall Street Journal. In 2005, J.P. moved to DaimlerChrysler and progressed the next 10 years through numerous R&D and engineering management assignments in the Advanced Stamping Engineering division, succeeding to Sr. Manager of Quality & Engineering overseeing the Warren Stamping and Assembly complex. J.P. possesses a B.S. in Metallurgical & Materials Engineering from Michigan Technological University and a M.S. in Automotive Engineering from the University of Michigan. 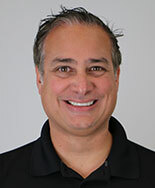 President, Engineering Quality Solutions, Inc.
���Danny Schaeffler is founder and president of Engineering Quality Solutions (EQS), a consulting firm specializing in sheetmetal formability. EQS works with global automotive and nonautomotive OEMs and their suppliers, as well as steel and aluminum producers and their service centers. Most of its work addresses material selection/optimization, tooling buyoff, field formability analyses, manufacturing-process improvement and cost savings/avoidance projects. Schaeffler authored two chapters in the ASM Handbook, Volume 14B: Metalworking: Sheet Forming, and has been published in several industry journals. With his newly formed company, 4M Partners, which provides formability training, Schaeffler wrote and published Sheet Metal Forming--Engineering and Business Management. Schaeffler is a member of SAE International (serving on the Steel Sheet & Strip Specifications Committee), and is past president of the North American Deep Drawing Research Group.